I’ve been using Instagram a lot more than Facebook. I get more interaction with random people who are interested in the same things as me, and it generally feels like a happier place. 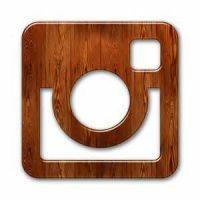 I want to use Instagram even more to connect with the woodworking community, but I also don’t want to bombard friends and family who don’t care about that stuff. So I’m segmenting my posts under two accounts. The @benwmartens account will still be normal day-to-day, family-life pictures. The new @martenswoodshop account will have lots of pictures all related to woodworking and will show day to day progress along with the finished project. If you like it all, it’s easy enough to just follow both, but I won’t be offended if you don’t like seeing lots of progress pictures for my projects. Some day I dream of supplementing my income with woodworking and maybe this is the first step down that path. For now, it’s still totally a hobby but maybe I can start building a brand.